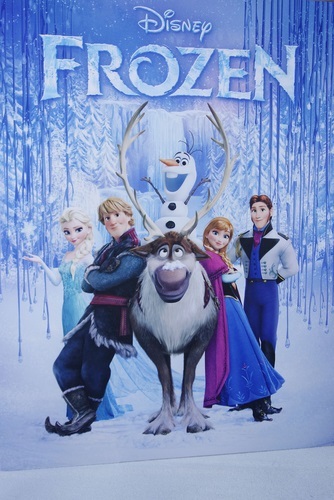 Get ready mums and dads – Frozen 2 has been announced! Disney has officially confirmed that Frozen 2 is happening. The news is new so there aren’t really any details to dish other than “We’re not demanding speed. We’re demanding excellence,” according to Disney’s CEO, Robert Iger, and that Kristen Bell (Ana) and Idina Menzel (Elsa) will both star. Now before you curl into a ball and weep over the Ana and Elsa cake creations you are going to have to manifest at every single birthday celebration for the next six years (experts reckon that the sequel won’t see the light of day before 2018) – try to look on the bright side? You won’t have to think too hard about birthday and Christmas gifts; surely, there will be a new Elsa dress to buy and probably another ten doll variants. And there should be a new son, right? So that means only another three more years of Let It Go. Plus…secretly, you do kind of love Elsa and wish you had a killer=plait and awesome blue dress to swish around in. This is good news, people! We have years and years of great blackmail material…clean your room, make your bed, put your pajamas away, and eat all of your dinner or else NO FROZEN 2! Ha. There’s a lot to think about. In the meantime, you can look forward to Frozen Fever, the short film set do debut as a pre-movie treat this summer. How does Frozen 2 make you feel- sad, mad, elated?